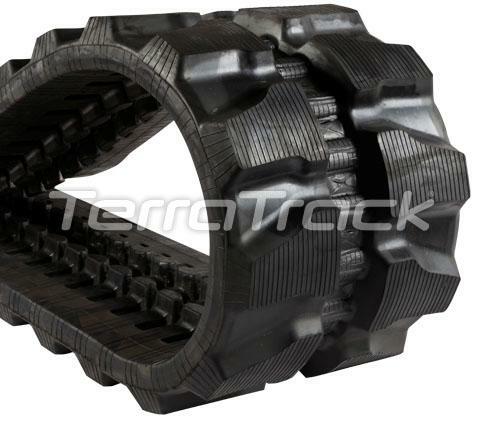 TerraTrack is an extensive OEM quality range of Rubber Tracks available from 150mm wide to 1000mm wide to fit around 4000 models of excavators including, skid-steer loaders, powered tracked barrow, tracked dumpers and other tracked equipment including the YANMAR range. TerraTrack Rubber Tracks have been developed and improved to offer superior quality and fitting and now come with an extended 24 month warranty on excavator sizes up to 485mm wide, 12 months for excavators 500mm wide and 6 months for skid-steer and tracked dumper sizes. Call: 01926 659998 or email sales@johnstonplant.com for more information.